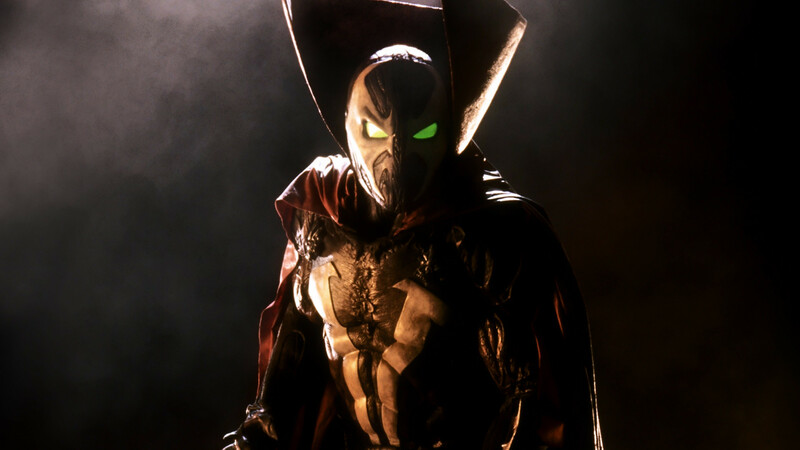 Despite an abhorrent critical reception, 1997’s Spawn – adapted from Todd McFarlane’s graphic novels – was an exceptional film that was just a bit before its time. A quick scan of Rotten Tomatoes reviews shows that critics were aghast at the violence, dark subject matter, and inaccesibility to children. None of these people ever read the Spawn comic book, which were far more brutal than the film. This was still a time when costumed heroes and villains meant there were certain lines you were not supposed to cross, and Spawn pretty much crossed all of them. Our hero kills, he wields machine guns, and walks a morally ambiguous line. For the first time in comic book cinematic history, our hero is black. Michael Jai White beat Wesley Snipes’ Blade by a year. Al Simmons is a far more complex character than Blade, whose primary focus is looking cool and killing vampires. Faced with watching his family move on after his murder, Simmons reluctantly accepts immense power that slowly drains him of whatever life he has left. This tragic and phenomenally evocative concept comes from the graphic novel and the film’s willingness to work around the original themes make it unique still among adaptations available today. Where most super heroes end up with a helpful sidekick to give them someone to talk to, Simmons gets a demon-clown played in a beautifully creepy manner by John Leguizamo. Martin Sheen makes an appearance as the human villain and Satan played himself brilliantly … I assume it was him. There are a few unintentionally goofy moments, especially in hindsight, but the visuals hold up surprisingly well. The cityscapes and Spawn’s suit in particular are still magnificent to behold and re-watching this film made me think it’s about time for a re-boot. There are numerous flaws in the movie but it has become a cult classic because it offers so many interesting things that no other movie – comic book adaptation or not – can offer. It really is the only movie that looks and feels as it does. And considering what a cool-looking badass Spawn is, I’m willing to overlook some poor dialogue and acting choices. Ultimately, Spawn offers a one-of-a-kind viewing experience, painting the walls of our minds with images that will remain there forever.